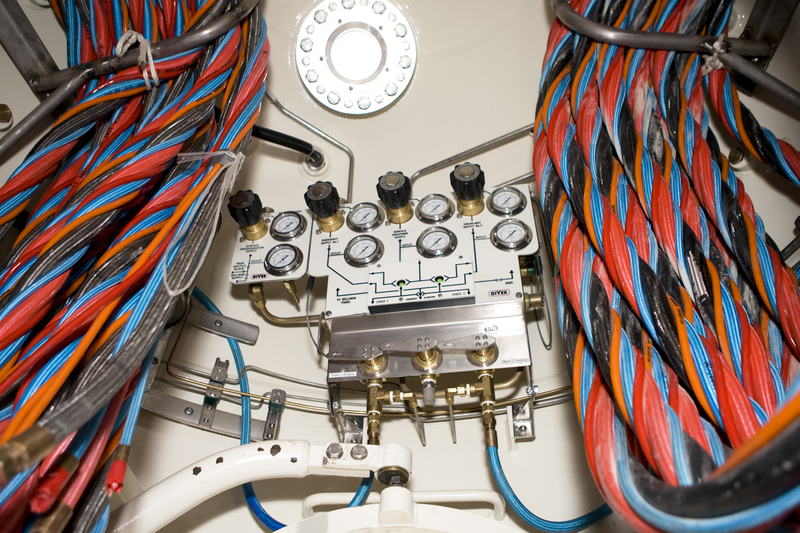 The Mara panel centralises all of the diving bell gas control requirements into a single compact assembly, dramatically simplifying the bell layout. Divers quickly and easily become familiar with its unique 3D layout and can readily feel the controls in darkness or in an emergency. 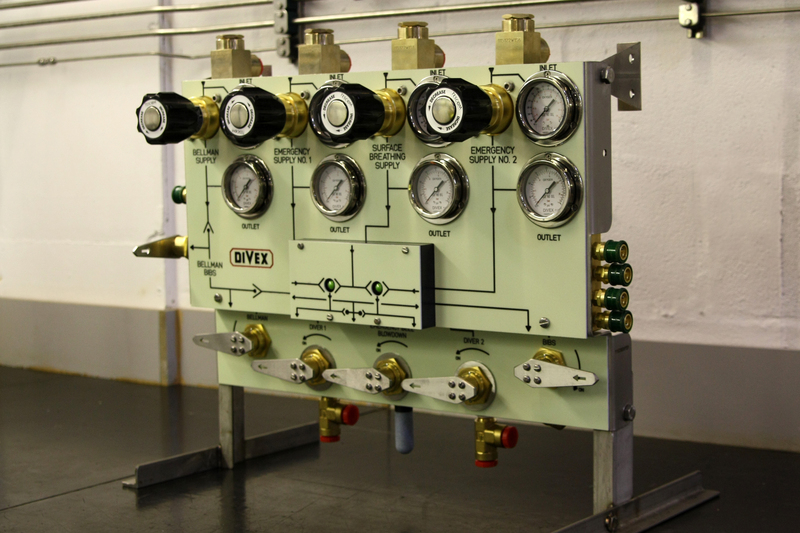 The panel provides normal and emergency gas supplies to the divers, and the patented shuttle block protects each diver against loss of supply either due to failure of surface supplied gas or severance of a fellow diver’s umbilical. The panel responds automatically but visual warnings advise the bellman and diving supervisor.